Signage - Ramblings of Mad Shutterbug & the Border Collie Bros.
Wandering through Necronomicon last year, one of the artists on Writer's Row (the paid table space where visiting artists may hawk their art) displayed a sign with a cartoon dog saying something to encourage customers to spend. I looked at it and chuckled. Then I thought, hey, I live with dogs. It's actually a collaborative effort. Herself made the photo on her iPhone, and texted it to me. I saved it, worked it into B&W in Photoshop. We've printed it for sale as a straight photo (hint hint). I added the further touch so we can display this at either or both the KP Ranch and Studio 318 booths at our various markets and fairs. Been a tad busy weekend for photography, between reviewing prints picked up from Flair Lab for mounting, matting & sleeving in preparation to sell. The other busy-ness invovled working up a set of photographs from a recent visit, and hearing from the folk running an upcoming weekend show. Part the First, we received a visit last month from Flat Stanley (link opens in a new window, a Wiki about the Flat Stanley books). One of Herself's cousins is an elementary school teacher in Mesa, Arizona. The Flat Stanley books sparked a common project for younger age schoolchildren, wherein Flat Stanley(s) are made and mailed around the world to other schoolchildren, who then help Stanley experience adventures. Herself's cousin made her own Flat Stanley along with her students, and hers came to visit us on Teh Ranch for his first stop. He's now on his way back to Arizona, should of arrived today matter of fact, and will later this week be off to Merry Old England. Sometime soon, I'll put up the Flat Stanley photos from his visit, but first those need to follow after Flat Stanley off to Arizona. Part the Second, the Kanapaha Botanical Gardens hosts a Spring Garden Festival every year. We've attended this festival frequently, often with camera in hand, and we also enjoy the Botanical Gardens as a photo opportunity. This year, we'll be in the Spring Garden Festival selling our photos, March 24 & 25. So if you are local to us here in North Central Baja Jorja, come on by. 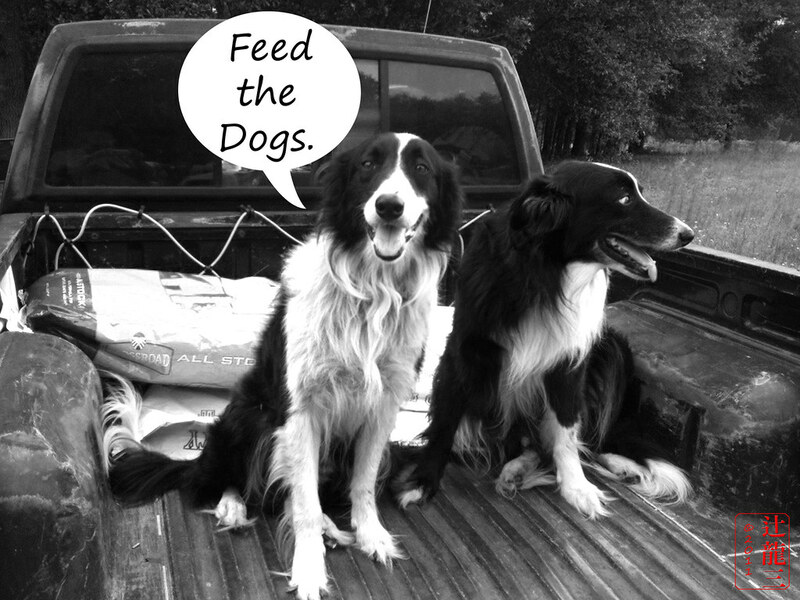 You might even see the actual Feed the Dogs sign, eh. This entry was originally posted at http://madshutterbug.dreamwidth.org/150536.html. Please comment there using OpenID.